Mr. Devon Baker is an amazing testimony of when the Lord calls you answer. Even when you don’t want to. 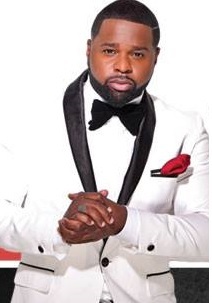 After singing background for a host of well known gospel recording artists, a career opening pushed him into a solo male gospel recording artist category. Now unaccompanied by a stage of many, Devon Baker has made his way center stage. Devon Baker’s commanding tenor is his gift from God and his gift has now made room for him. 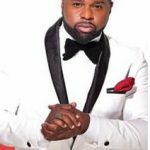 He has received many accolades from his cohorts in the gospel community such as Bishop Paul Morton, Israel Houghton and Darwin Hobbs. Also, he played a major role in gospel recording artist and songwriter Ted Winn’s music ministry. Sometimes people can get comfortable just being in a place where they are supposed to be temporary. Devon Baker had to learn in spite of his comfort, to whom much is given much more is required. Devon Baker. Get use to that name. He has made a lofty launch with his latest release Worthy Are You Lord. Take a listen to his origin which is guaranteed to bless you because it did me. 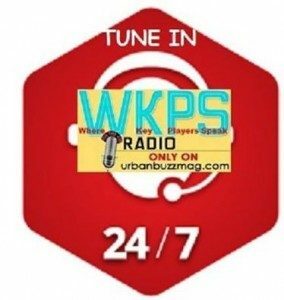 We here at Urbanbuzzmag.com and WKPS Radio have already deemed his song #1, therefore, billboard is late. Music ministry is a call. There are many gifted and talented people out there but few are called to create the sound in a season, for people to receive in their Spirit man. When you hear Worthy Are You Lord you will agree with me that there is a sound in the earth and a call from the Lord. Devon Baker’s performance speaks for itself, effortless as he commands the atmosphere to respond to what the Lord has called him to do. Welcome our new Key Player Mr. Devon Baker on how to have faith enough to move pass your past to continue forward.